The Fire Department wants to wish everyone a very happy and safe new year. Our leadership remains the same for 2018 under the guidance of Chief Brian Bonte. Consider this scenario: It’s 2 o’clock in the morning. You and your family are fast asleep when you awaken to the smoke alarm sounding and the smell of smoke. What do you do? If you and your family don’t have a plan in place, it could jeopardize your safety, or even prove deadly. This year’s Fire Prevention Week theme, “Every Second Counts: Plan 2 Ways Out!” works to better educate the public about the critical importance of developing a home escape plan and practicing it. In support of Fire Prevention Week, the Oradell Fire Department encourages all households to develop a plan together and practice it. A home escape plan includes working smoke alarms on every level of the home, in every bedroom, and near all sleeping areas. It also includes two ways out of every room, usually a door and a window, with a clear path to an outside meeting place (like a tree, light pole, or mailbox) that’s a safe distance from the home. The 11th Annual Oradell 5K Run/Walk and 1 Mile Family Fun Run/Walk is sponsored by the Oradell Kids Foundation in partnership with the Oradell Volunteer Fire Department to support our schools, library, and parks. Whether you would like to compete for a medal & prizes, model a healthy lifestyle for your children, or just enjoy the family festival, there is something for everyone! 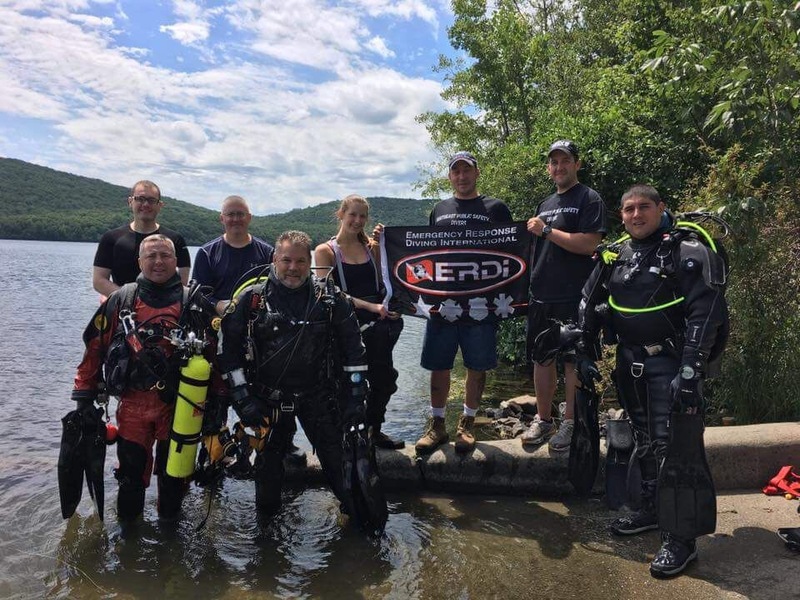 Today Ex-Chief Kahill and FF Vanvalkenburgh finished up an intense 40 hour course (ERD1) with Notheast Public Safety Divers. Today’s drill in the Monksville Reservoir included removing masks while switching to alternate air sources and performing search patterns. Members from Mahwah, Ringwood and Parsippany also participated. 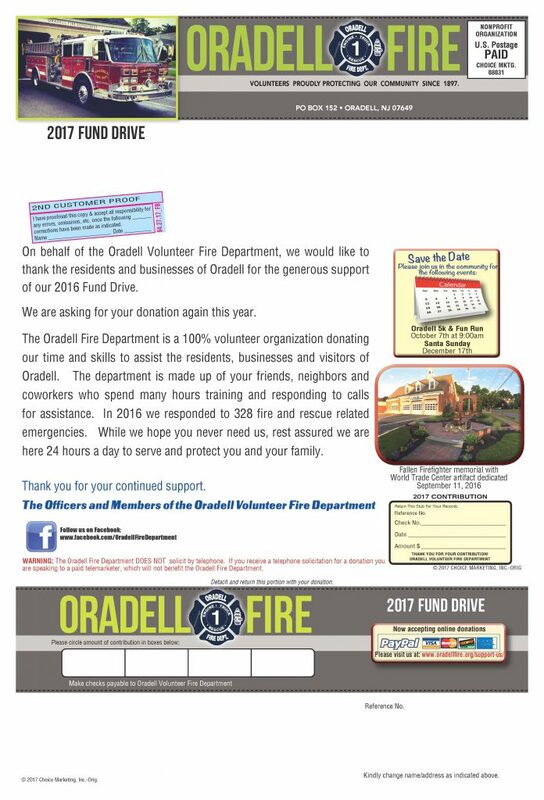 On behalf of the Oradell Volunteer Fire Department, we would like to thank the residents and businesses of Oradell for the generous support of our 2016 Fund Drive. We are asking for your donation again this year. 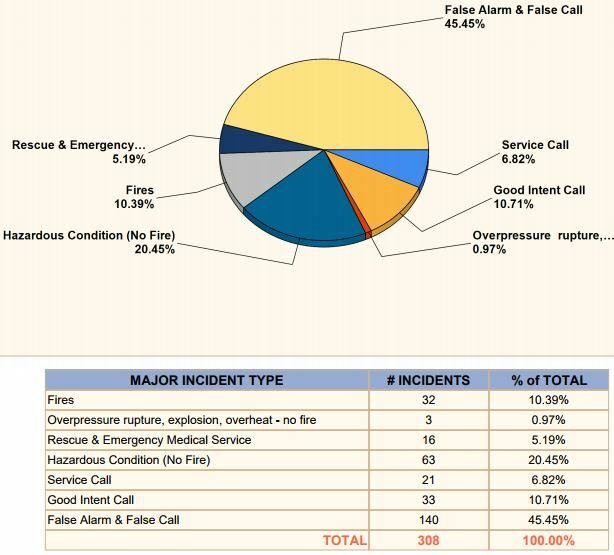 The Oradell Fire Department is a 100% volunteer organization donating our time and skills to assist the residents, businesses and visitors of Oradell. The department is made up of your friends, neighbors and coworkers who spend many hours training and responding to calls for assistance. In 2016 we responded to 328 fire and rescue related emergencies. While we hope you never need us, rest assured we are here 24 hours a day to serve and protect you and your family.